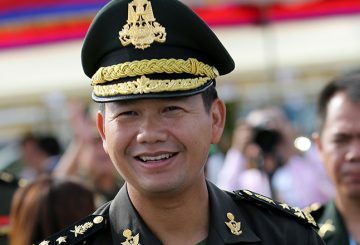 Gen Hun Manet says Cambodia-US military relations will strengthen both armies. Lieutenant General Hun Manet flies off with a delegation to Hawaii. 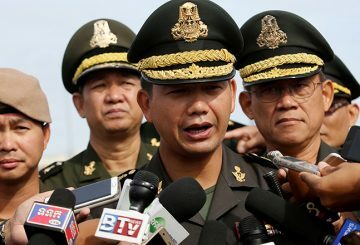 Lieutenant General Hun Manet, the Royal Cambodian Armed Forces’ Army Commander, on Monday night flew off with a delegation to Hawaii to attend the Pacific Area Special Operations Conference and strengthen relations with the US Army. 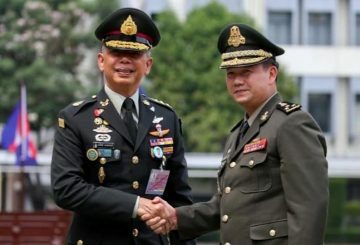 Lieutenant General Hun Manet ends his three-day trip to Bangkok. 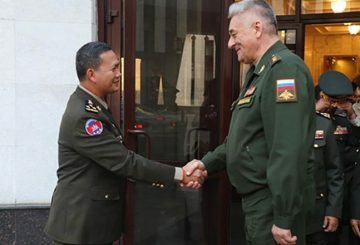 Gen Hun Manet is in Russia to discuss cooperation between the two nations’ armies. 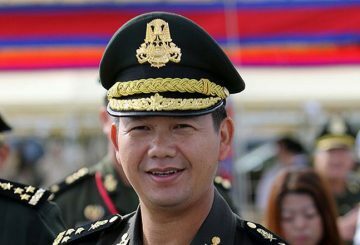 The Chinese Army describes ties between with Cambodia as a brotherly relationship. 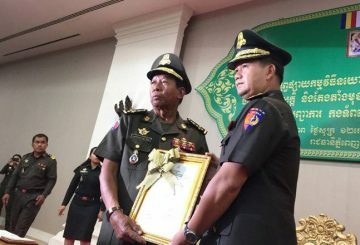 In a speech commemorating the 20th anniversary of the Royal Cambodian Army yesterday, Prime Minister Hun Sen said he was personally targeted by his political opponents in the mid-1990s during two attempts to oust him from power. About 8,000 young hopefuls sit for the military academy entrance exam. PM slams a Facebook user who claimed that Interior Minister and Senate president would be removed from their positions. 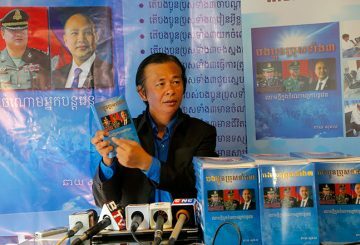 A book titled “New Blood among Successors”, which is about PM Hun Sen’s three sons, was launched by its author in the capital. 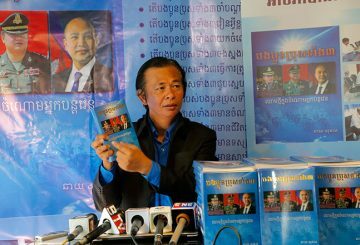 A book titled “New Blood among Successors”, which is about Prime Minister Hun Sen’s three sons, was launched by its author in the capital today. 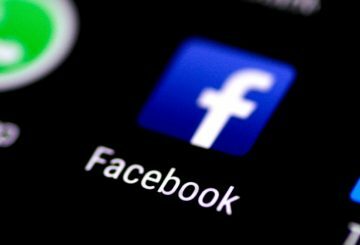 Interior Ministry identifies a number of FB accounts impersonating government officials. 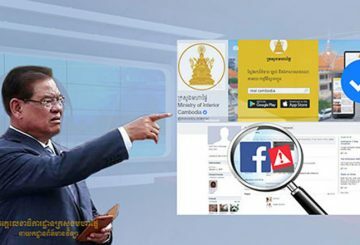 The Ministry of the Interior has shut down a number of Facebook accounts that nefariously used the identities of government members and institutions. 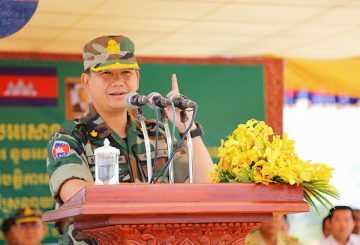 Lieutenant General Hun Manet attacked the former opposition CNRP on Monday. 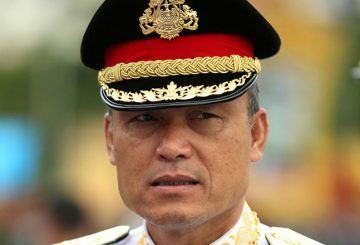 Defence Minister defends the promotion of Gen Hun Manet as army commander. 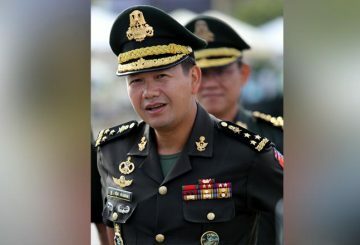 National Defence Minister General Tea Banh has defended the promotion of Lieutenant General Hun Manet as the Royal Cambodian Armed Forces’ army commander. 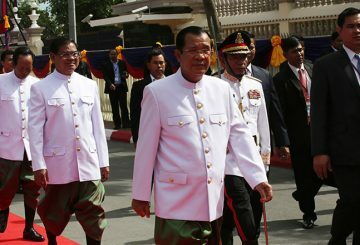 A ceremony is held to appoint General Sao Sokha as acting commander-in-chief. 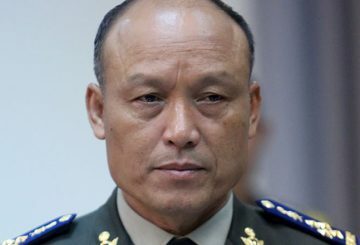 Defence Minister announces Lt Gen Hun Manet will be promoted to General (four-star) to match his new position as deputy commander-in-chief. 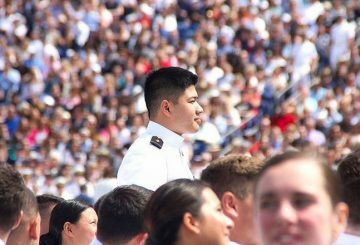 Vithyea Phann was the first Cambodian to graduate from the US Naval Academy. He is now a deputy training officer. 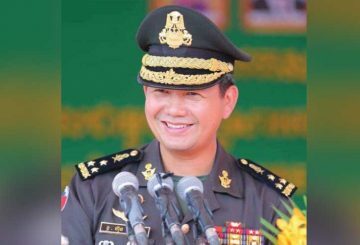 Defence Ministry taps General Sao Sokha to be the commander-in-chief. 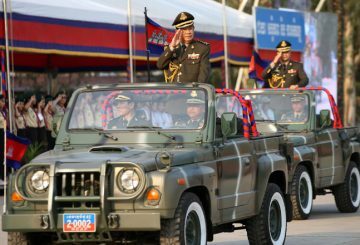 Lieutenant General Hun Manet says that Prime Minister Hun Sen has not allowed Cambodia to return to an era of war. 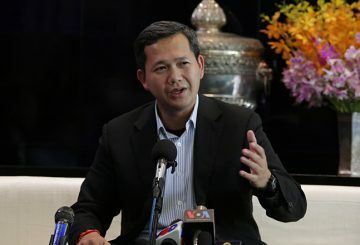 Both the ruling and opposition parties have upped the ante in their public diplomacy by travelling to different countries to explain political development in Cambodia from their own perspectives. 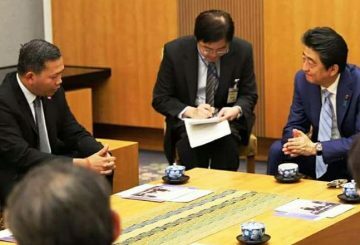 Japan reiterates its intent to support Cambodia’s national election in July. 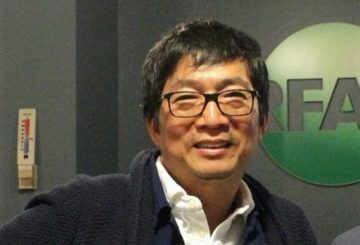 Prime Minister Hun Sen has exposed a well-known Radio Free Asia journalist critical of him as his own spy working for the government. 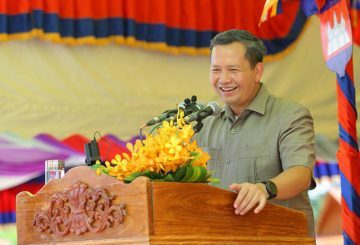 Hun Manet says he disagrees that Preah Sihanouk will become a second Macau. Hun Manet writes that Hong Lim has insulted the Prime Minister’s supporters. 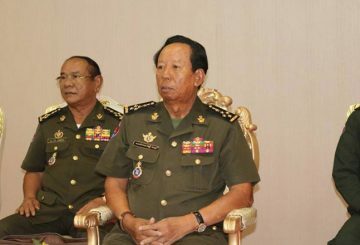 Lieutenant General Hun Manet has taken over the role of chief of joint staff. 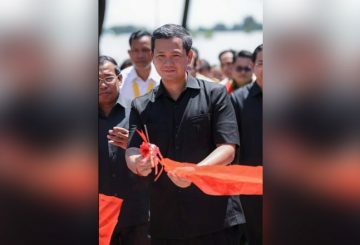 Hun Manet calls on youths to furthering their education for the country’s development. 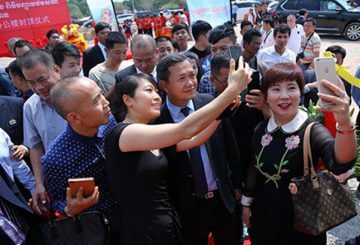 Government to ensure people from different ethnicities and religions live in harmony. Hun Manet says the US lent money to the Lon Nol regime for weapons.